Kevin Laurie had never seen anything like it. 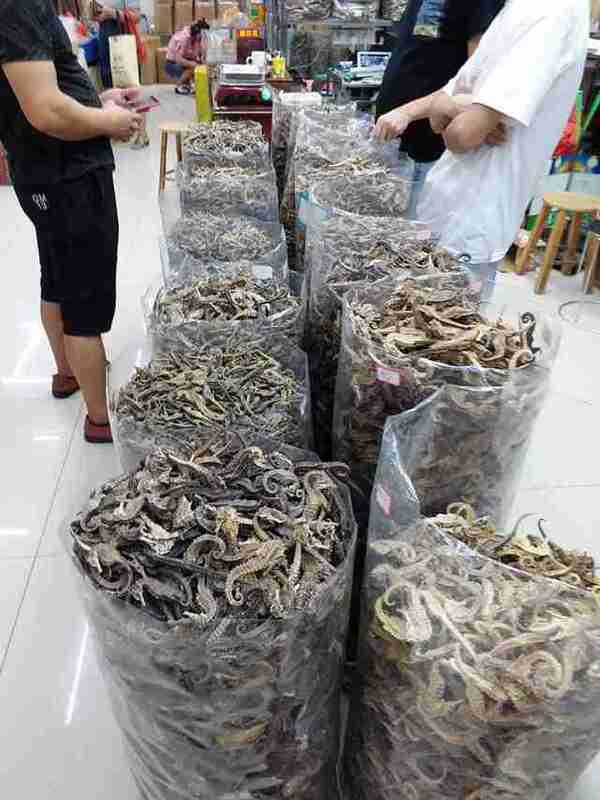 Inside a shop in the Guangzhou district of China, near Hong Kong, there were about 40 or 50 large plastic bags — and inside each bag were thousands upon thousands of dried seahorses. 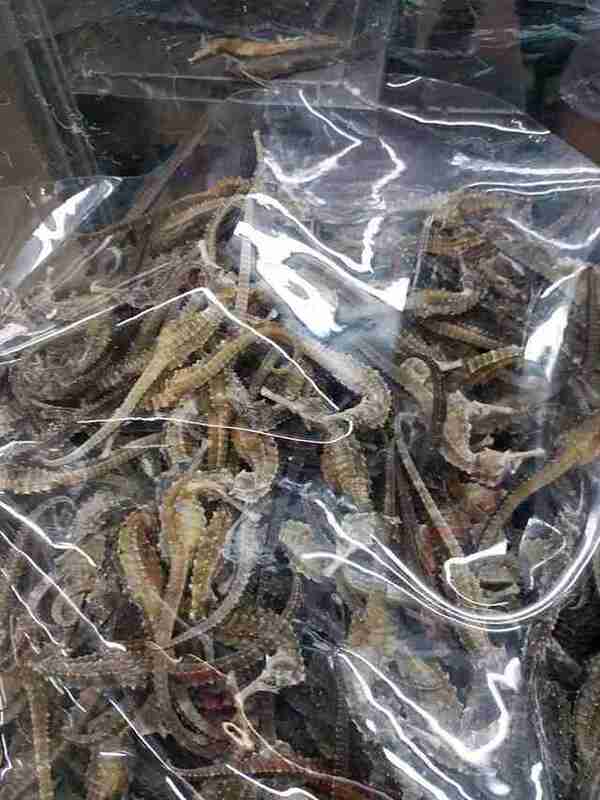 Laurie, who used to work as a police officer, snapped several photos of the bags, which he believes held about 2,000 to 4,000 seahorses each, and published them on Facebook. His post ended up going viral. “Seahorses don’t have much of a voice in the conservation world, so my aim in taking the photos was to highlight their plight,” Laurie said. Laurie has every reason to be concerned. Tens of millions of seahorses are being wiped out of the oceans each year, according to Amanda Vincent, a marine biologist and director of Project Seahorse. 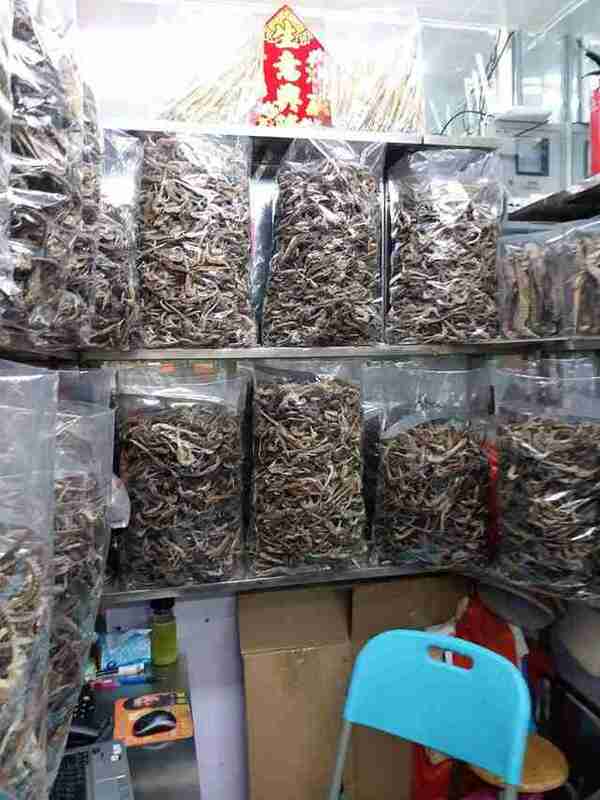 "There are no official global figures on [seahorse] fisheries, but from our fieldwork, we think in just 21 countries that we've been able to assess ... about 37 million a year are being removed from the wild," Vincent told The Dodo in April. "That number may turn out to be conservative." 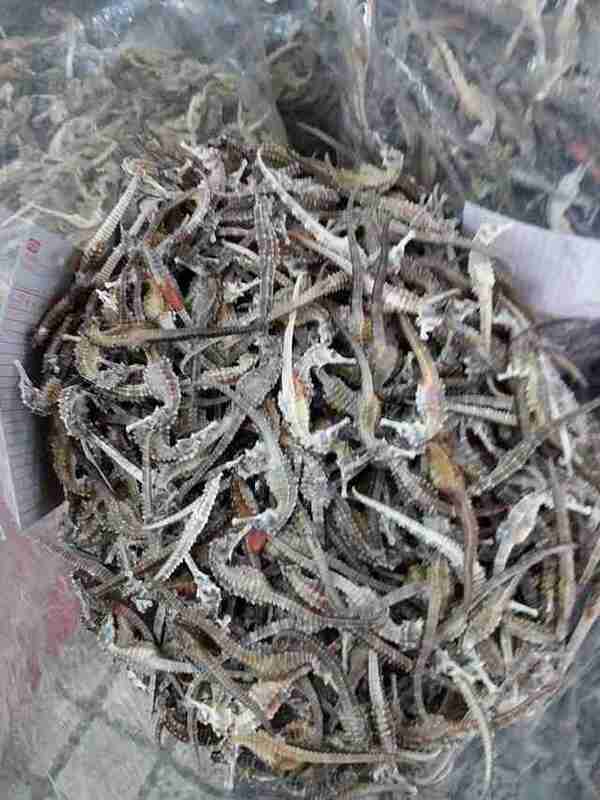 The main reason seahorses are being caught is for traditional Chinese medicine — it’s believed that seahorses cure a range of conditions associated with the aging process. 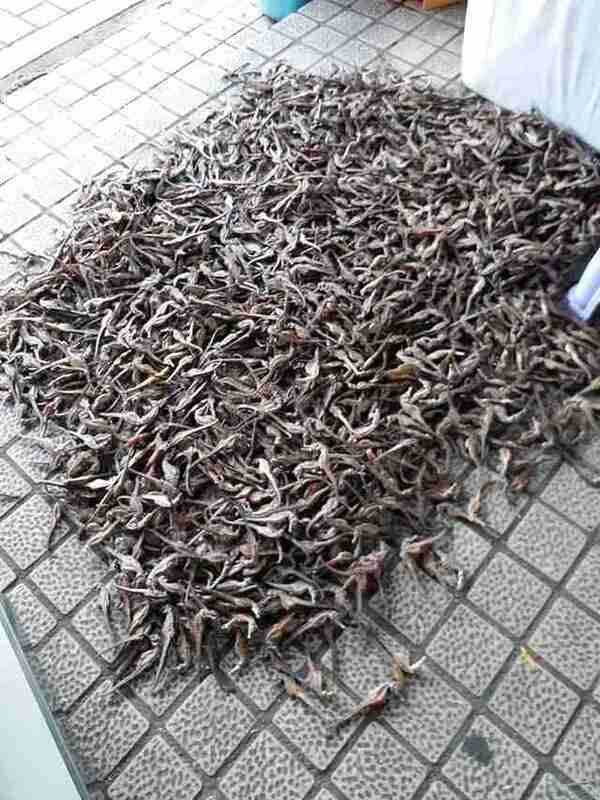 However, seahorses are also sold into the aquarium trade, or sold as food or decorative ornaments. 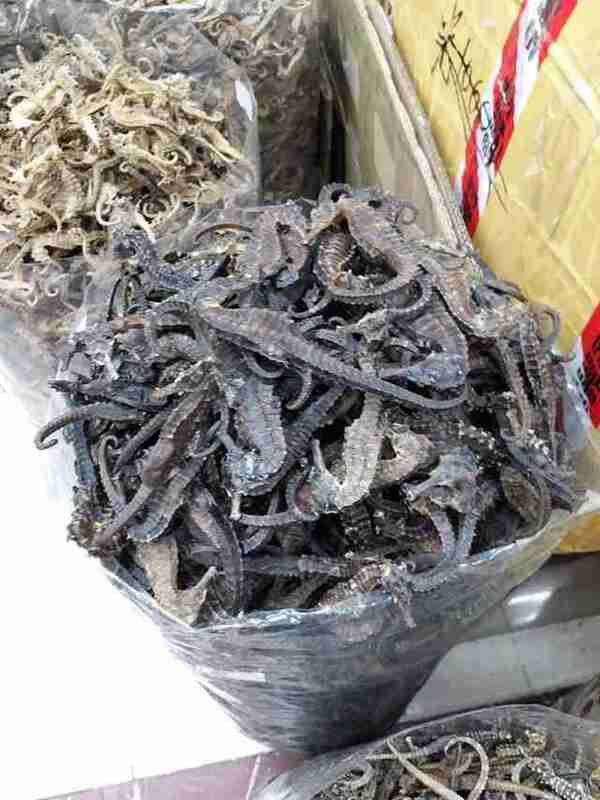 Most seahorse species are actually protected through the Convention on International Trade in Endangered Species (CITES), which puts limitations on the trading and selling of these animals — but this doesn’t seem to be doing much to protect these animals, according to Gary Stokes, Southeast Asia director of Sea Shepherd Global. 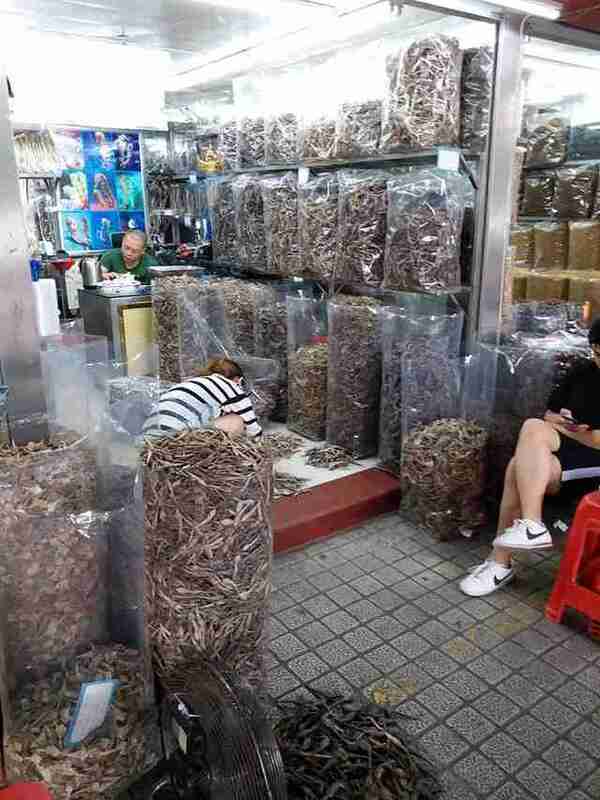 "They're prohibited, so how come we have sacks and sacks and sack of them just in the shops here [in Hong Kong]?" Stokes told The Dodo in April. Despite the challenges in protecting seahorses, Vincent remains optimistic about the future. "Seahorses are in trouble ... and I hope they can be good storytellers for all the small, obscure species that nobody pays much attention to at all," Vincent said. "I think what we all need to do is to feel a responsibility for the ocean and to engage with the ocean and talk about it a lot. It can be difficult because most people think of the ocean as a swimming pool of water, but in fact it's full of the most extraordinary life, and seahorses are part of what's wonderful." To help seahorses, you can make a donation to Project Seahorse or learn about other ways to help. If you scuba dive or snorkel, and are lucky enough to see a seahorse, share this information with iSeahorse, a data project run by Project Seahorse.